MindKey learning management systems enabling you to develop, deploy, manage, and report a comprehensive learning program tailored to your needs. MindKey covers all phases in the administration of courses for staff members in the organization. 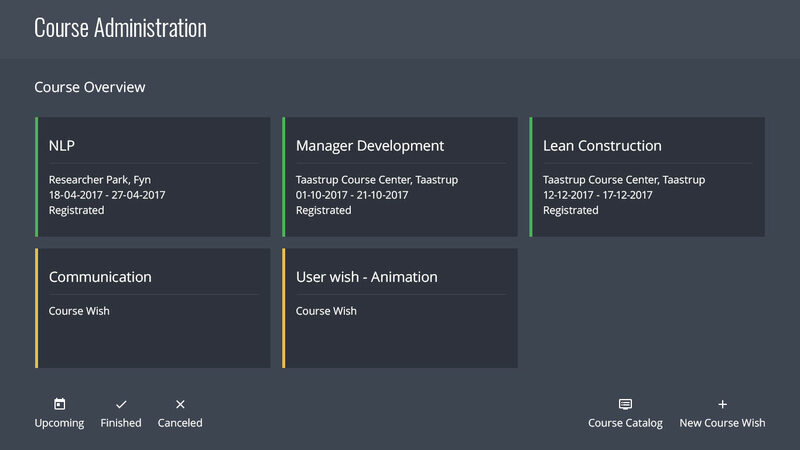 The Training Module supports both planning, supply and administration. MindKey is designed for organizations that develop and offer courses and other training activities for their own staff members. Maintain a course catalogue with course descriptions, suppliers, instructors and locations. Mass registration and movement of participants, merging teams, relocation of course activity is easy to manage for HR. Overview of current course activities including enrolments, occupancy and waiting lists. MindKey course management provides managers and employees with an easy overview of all available courses, enrolments, status and history. The course catalogue make it easy for employees and managers to find suitable training and register. 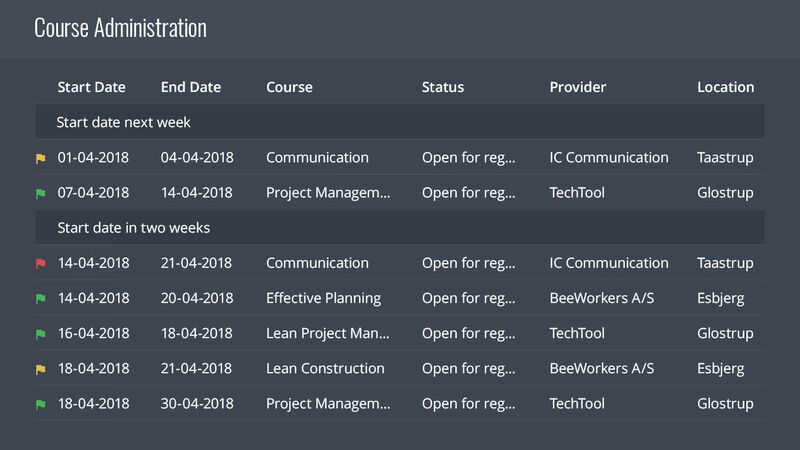 Using the course request function, HR get an overview of training needs that are in demand and are then able to plan courses and put together classes if so desired. Workflow ensures an easy and safe handling of Course Intentions, enrolments, and completion between Course administrators, Human Resource departments, managers and employees.